3/16/19 - My review of WHAT IF THIS WERE ENOUGH? by Heather Havrilesky up at Kenyon Review!!! 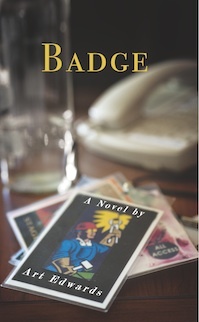 ﻿Art Edwards's novel is Badge, and his solo CD is Songs from Memory. Read the first chapter of Badge here.